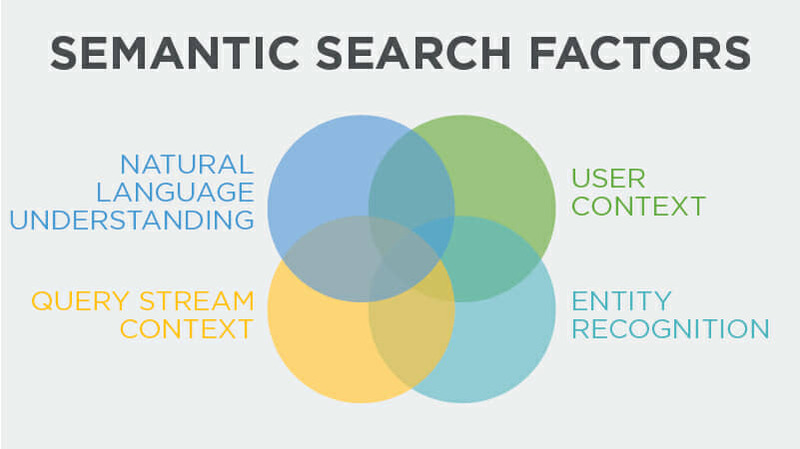 Semantic trends have played an increasingly central role in search for some time. Algorithms now have the ability to take whole queries into account, rather than simply focusing on specific keywords. By doing so, search engines are able to delve deeper into the intent behind each query, delivering tailored, highly intelligent results. 2013’s Google Hummingbird update marked a significant turning point for semantic search. For the first time, the technology required to understand the meaning behind specific searches was rolled out on a large scale. Rather than honing in on one or two keywords, the new algorithm was able to read and configure the meaning behind each query, denoting which results would be most relevant to the needs of the user. Appetite for intent-driven, conversational search has only grown in the years following Hummingbird. In 2018, an understanding of the latest semantic trends is a vital component of any successful SEO strategy. With that in mind, here are seven ways to make the most of semantic trends and reap the benefits for your business. Quality over quantity is the first rule of content production in 2018, yet the latest semantic trends naturally favour sites that have a large pool of targeted landing pages. It’s never recommended to produce content for the sake of it, but developing an ongoing content strategy that’s centred around relevant, well-optimised content is incredibly valuable. Ensuring each page is specifically geared towards your niche gives search engines more opportunity to find and index your site for both short and long tail keywords, improving SERP visibility as a result. Alongside a string of evergreen pages, there’s also value in regularly updating your website with more timely, news-focused content, that integrates of-the-moment search terms. Creativity is key, not least because you’re likely to be fighting for valuable SERP real estate with your competitors. For that reason, keep a close eye on the latest news and events from within your industry and focus on producing unique content that’s of genuine use to its audience. Voice search is big news in the tech industry. Devices such as Google Home and Amazon Echo are working alongside the likes of Siri, Cortana and Alexa to bring voice search into our homes and offices on an unprecedented scale. Yet the way that we use voice search is different to more traditional search methods. Voice search queries tend to be more natural and conversational in tone, which in turn means they’re usually longer than the succinct keyword phrases we’re used to typing into search engines. Voice search also has greater potential to be mobile, meaning queries are often local. For that reason, steps such as claiming your Google My Business listing and better optimising your site for local search are going to be hugely valuable in the long term. It’s all about giving search engines – and therefore users – the best possible chance of finding your business when searching within the local area. Semantic trends are placing a continuing emphasis on user experience. With that in mind, it’s never been more important to ensure every piece of content is tailored toward your users, not just search engines. One way to do this is to consider semantics when developing page and content titles. Conversational search is all about targeting those long-tail keywords that are commonly put into Google. Queries that start with ‘how to…’, ‘what is…’ and ‘why does…’ are likely to drive site traffic in light of recent search trends. But do use them alongside other short-tail keywords to keep the tone and style of your content as natural as possible. Even in light of changing search trends, Google continues to point to authoritative sites as a priority. There’s huge value in producing quality content that secures your brand as a trusted voice within its niche. This means developing content that is useful, insightful and relevant. Steer clear of branded sales tactics in favour of using phrases that align semantically with user intent. It’s also useful to optimise your content for related or associated keywords. Engaging in well-structured keyword research is crucial here, as understanding more about the keywords your audience is commonly using will help provide search engines with the context they need to index your site effectively. For instance, an online camera repair shop may also develop content around photography tips, equipment, lighting and studio set-ups. The end goal of any user-led content strategy should be increased organic engagement. The more buzz that your post generates, the more attention it will receive from semantic algorithms, the likes of which favour content that users are interacting with. 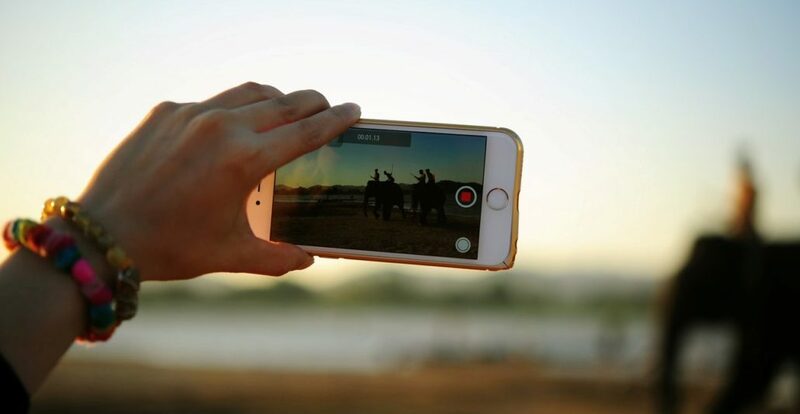 Visual content such as videos and infographics aren’t going anywhere, with video alone representing 74% of all internet traffic last year. With that in mind, committing to developing a creative marketing strategy that utilises both visual and written content continues to be a good move. Dedicating a page to answering the questions most commonly posed by your users is a great way to optimise your site for long-tail keywords. As semantic search takes a firmer grasp on the wider search landscape, such queries are becoming increasingly common. For instance, succinct keyword terms such as ‘prom dresses uk’ are likely to decline in favour of detailed long-tail queries (ie. ‘Where can I buy blue satin prom dress in west London?’) The end goal is to rank for as many long-tail keywords that are relevant to your niche as possible. As such, FAQ and Q&A pages are a great way to rank for the conversational terms your users are most frequently searching for. Current semantic trends are an indicator of Google’s wider goal – to place user experience and intent at the very heart of the search process. While changing algorithms and search preferences may initially be seen as a hindrance to ongoing SEO strategies, they should instead be viewed as an opportunity to move with the latest trends and stay one step ahead of the competition. For more information on how we can help you make the most of search trends, get in touch today.